It's the beauty of a field of flowers from the comfort of home. This bouquet of flowers has a chic farmhouse style style while still staying modern. 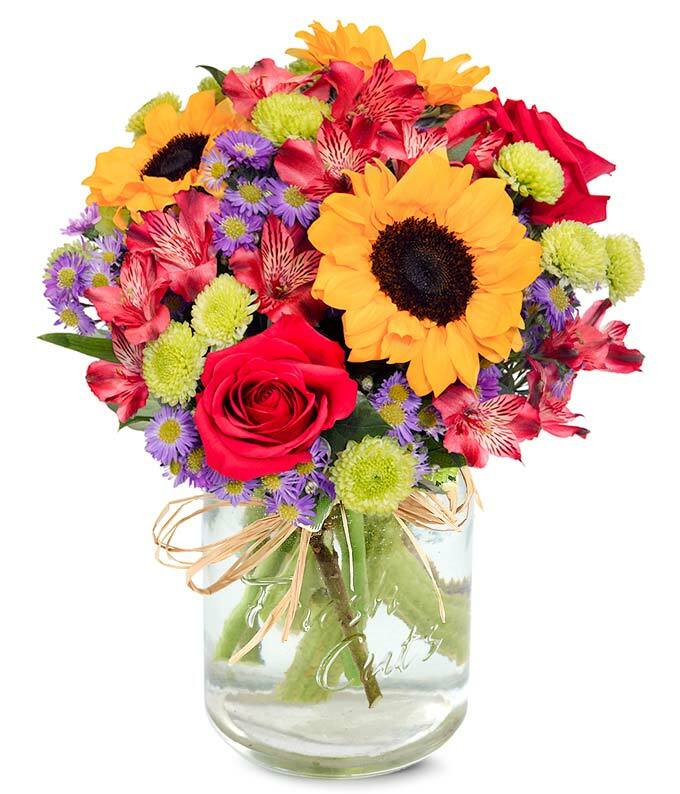 Bright sunflowers surrounded by pink alstroemeria and green poms are displayed in a mason jar wrapped in raffia. The essence of a field of flowers can be brought to anyone's home, and will charm anyone who seems them!